After a day at the beach, you will love chilling inside Oasis Shaved Ice in Cocoa Beach. This shaved ice parlor is only two blocks away from the beach, and not only do they have a wide variety of shaved ice flavors, they also serve burgers and hot dogs. Oh, and the Harry Potter fans out there will love the Butter Beer shaved ice! Don’t be intimidated by the long line – it’s worth the wait! Del&apos;s Freez has been serving Melbourne since 1956. And earlier this year, Jay Leno stopped by for a treat while filming a show on Florida’s Space Coast. The Fat Donkey Ice Cream and Fine Desserts located in Cocoa Beach offers a variety of dairy treats. Popular ice cream flavors include Butterscotch Bomb, Calypso Crunch, Mai Kai and Coconut Pineapple. Or try a Zonkey – soft serve ice cream layered with sorbet or Italian ice. Vegan options are available as well. Moo’s Soft Serve is located just across the street from the beach. The Indialantic location serves ice cream, yogurt, shakes, hot dogs, chilidogs and mini burgers. Walk up or drive-thru! Sundaes on the Beach located on Ocean Avenue in Melbourne Beach serves Hershey&apos;s Ice Cream, Italian ice, fresh squeezed lemonade and smoothies. They also serve pet-friendly treats too! Grab a doggy ice cream sandwich to keep your canine friend cool in the Florida sun. I Dream of Yogurt is the one and only self-serve frozen yogurt bars in Cocoa Beach. The shop’s 18 different flavors are rotated weekly, and there are more than 60 toppings to choose from. Plus, the shop is decorated in “I Dream of Jeannie” décor. 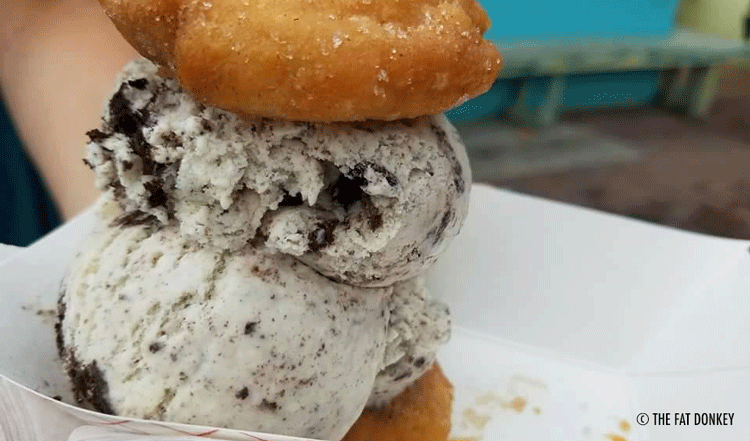 One thing that’s not lacking on Florida’s Space Coast is a sweet treat. Satisfy your craving for a treat at one of these great locations!